EE Publishers Home»	Articles: EE Publishers»The renewable energy, new coal and gas-to-power IPP programmes in SA – quo vadis? South Africa’s energy sector is at the cross roads in an uncertain and incoherent policy environment caused by the self-induced chaos of the Zuma administration, with three ministers of energy in 2017 alone, and further political change likely after the ANC’s elective conference in mid-December 2017. According to Finance Minister Malusi Gigaba, failures of governance, leadership and financial management at the national electricity utility, Eskom, are of grave concern, with contingent liabilities and government guarantees on its debt presenting a significant risk to the entire economy. 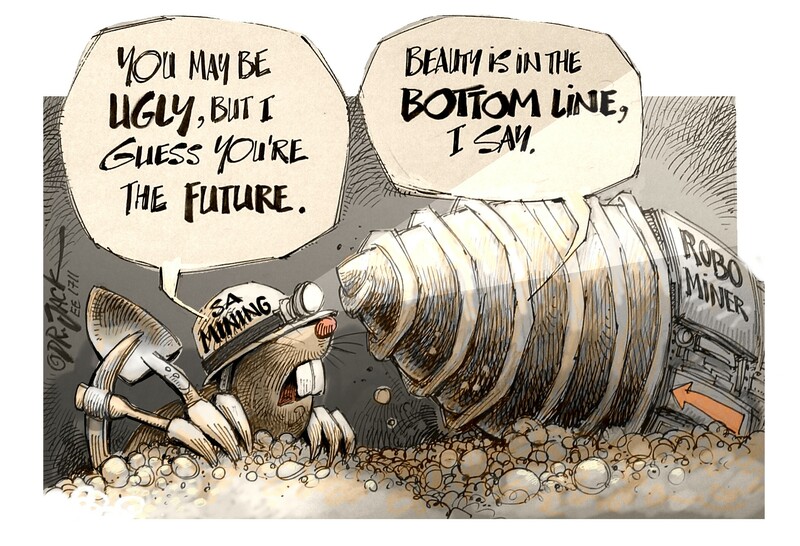 The proposed 9,6 GW nuclear new-build programme, so dear to the heart of President Zuma and his new energy minister, threatens what remains of South Africa’s economy, with the country’s financial position and credit rating hanging in the balance. The long outstanding integrated energy plan (IEP) and integrated resource plan for electricity (IRP) are expected to be finalised shortly without following due process, with widespread expectations that political interference will artificially constrain renewable energy to force nuclear power into the energy mix. Techno-economic modelling of various scenarios for the new IRP by National Treasury, the CSIR, the DoE and its IPP Office, the Energy Intensive User Group and Eskom itself, for the years to 2050, has shown conclusively that without such artificial constraints, any new nuclear and new coal generation capacity beyond Medupi and Kusile is simply not required. In fact, scenarios constraining renewable energy to force new coal and nuclear into the mix result in a significantly higher electricity price trajectory and associated costs to the whole economy in the years to 2050, with significantly worse socio-economic benefits in respect of CO2 emissions, job creation and water use. In the meantime, an application by Eskom for an increase in electricity tariffs is before the National Energy Regulator of South Africa (NERSA) and undergoing public consultation at this time, which would result in a 20% price increase for Eskom’s direct end-customers on 1 April 2018, and a 27% increase for municipal redistributors on 1 July 2018. 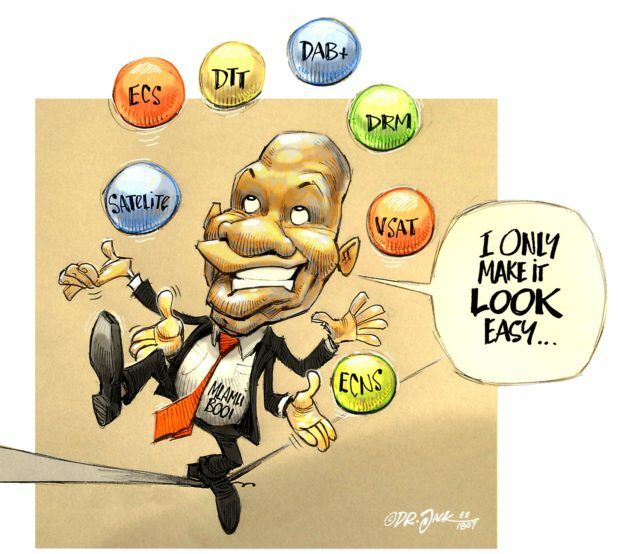 There are also three deferred Eskom regulatory clearing account (RCA) applications of some R20-billion for each of Eskom’s 2014/15, 2015/16 and 2016/17 financial years (total R60-billion) that NERSA still has to process. If granted for recovery over three years, this would result in a further electricity price increase of 10% per year for three years. At the same time, a court application by the City of Cape Town challenging the designation of Eskom as the single buyer of generated electrical energy is being closely watched by other major metros. These municipalities are wanting to reduce their electricity costs by installing their own generation capacity and/or procuring cheaper electricity from independent power producers and industrial, commercial and domestic consumers that can also produce electricity (prosumers). As a result of Eskom’s intransigence and anti-competitive behaviour, the renewable energy independent power producer procurement (REIPPP) programme of the Department of Energy (DoE) has been stalled for the last three years. 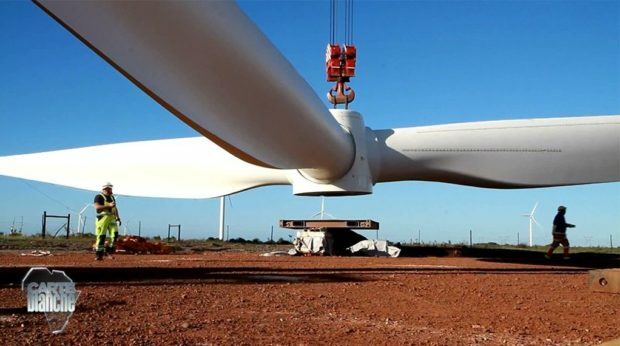 This has halted the R130-billion of private sector investment, the localisation of manufacture and the socio-economic and enterprise developments that has been achieved to date for the renewable energy projects in Bid Windows 1, 2 and 3, and delayed some R65-billion of further investment for projects in Bid Windows 3.5 and 4. The suggestion that the REIPPP programme is somehow responsible for Eskom’s financial woes and surplus capacity is clearly spurious misinformation intended to deflect attention from the real issues of Eskom’s poor governance, financial mismanagement, spiralling costs and inefficiency. Finally, on 1 September 2017, after years of delay and several broken deadlines, the energy minister at the time, Mmamoloko Kubayi, announced that power purchase agreements (PPAs) for 28 wind, solar PV and CSP renewable energy projects for about 2400 MW under the REIPPP Bid Windows 3.5 and 4 programme would be signed by the end of October 2017. However, this would be on the proviso agreed to between the DoE and Eskom that the previously announced successful REIPPP bids would be renegotiated to below R0,77/kWh for all technologies, and that the BEE shareholdings of the successful bidders would be suitably adjusted. Immediate questions arose as to the legality of such renegotiations behind closed doors and/or the exclusion of any of the announced successful bidders, after the formal public procurement process had been undertaken and the outcomes announced. The opportunity for significant price adjustments and changes in the socio-economic development shareholdings from local community trusts to black industrialists raised perceptions of illegality, lack of due process, corruption and nepotism in a process previously widely acclaimed for its transparency and integrity. Indeed, reports from credible sources indicated that a list of preferred “black industrialists” to replace the shareholding previously earmarked for local community trusts was being peddled from within the DoE itself to Bid Window 3.5 and 4 bidders. Without necessarily being able to meet the set price cap of R0,77/kWh, the successful REIPPP Window 3.5 and 4 bidders generally agreed to reconsider their shareholding to increase the equity of black industrialists, and correspondingly reduce that of community trusts. However the legal and debt financing issues remained unresolved, and the end of October 2017 came and went without a single one of the 28 PPAs under REIPPP Bid Windows 3.5 and 4 being signed. In the interim, the DoE and its IPP Office obtained legal opinion which confirmed the unlawfulness of what was being considered. The legal view indicated that whilst there was some limited scope for bid negotiation in respect of value for money, an announced successful bidder could not be excluded through such renegotiation. There further appeared to be no legal or rational basis upon which a price cap of R0,77/kWh could be retrospectively applied to all or any of the technologies after the announcement of the outcome of the public procurement process. This confirmed Eskom’s own legal position as detailed in Section 5 of Eskom’s sworn affidavit to the Pretoria High Court on 22 September 2017 accepting its obligation to conclude PPAs in terms of the REIPPP process, and that Eskom was bound by such determinations and procurements. On 14 October 2017, a letter from Minister Kubayi instructed the DoE IPP Office to proceed to conclude PPAs with the successful REIPPP Bid Window 3.5 and 4 IPPs within the law and based on lawful value for money negotiations. However, almost immediately following this letter, Minister Kubayi was “rotated” to another portfolio, and replaced as energy minister by former Minister of State Security, David Mahlobo. A further date of 20 November 2017 has since been set by the DoE IPP Office for the signing of PPAs with the successful REIPPP Bid Window 3.5 and 4 PPAs IPPs. While Minister Mohlobo met with the DoE IPP Office on Tuesday 31 October 2017 and discussed the signing, the IPPs are not optimistic that this signing will actually take place. The problem now is that there is no indication whatsoever that Eskom has sought or obtained any authority from its dysfunctional board to conclude PPAs with the successful Round 3.5 and 4 IPPs above R0,77/kWh, despite acknowledging its legal obligation in this regard. With the current REIPPP programme stalled by Eskom on spurious grounds for three years, valid questions are being asked as to whether the current REIPPP model has in fact reached the end of its useful life. The REIPPP Bid Window 3.5 and 4 prices are now significantly out of date, having closed on 18 August 2014. Bids in the subsequent expedited round of Bid Window 4 that closed on 11 November 2015 (referred to hereafter as Bid Window 4.5) came in with significantly lower prices than those of Bid Window 3.5 and 4. Does it make any sense to continue concluding PPAs at the higher bid prices of Bid Windows 3.5? Or should the IPP Office abandon Bid Windows 3.5 and 4, and proceed with PPAs at the lower bid prices of Bid Window 4.5? Or should the IPP Office wait for a new ministerial determination under the revised IRP due to be published in early 2018, and plan a new Bid Window under a revised procurement framework that takes into account the hard lessons learned along the way in the REIPPP process to date? These are questions that the DoE IPP Office has been asking itself, and there are no easy answers. Electricity customers would benefit from the lower prices of Bid Window 4.5 or a new procurement process. However this will need to be carefully weighed against damage to investor confidence and the reputational damage to South Africa that unilateral changes to a legally binding public procurement process would undoubtedly cause. A new procurement process would also likely delay the selection of successful bidders and the financial closure of their projects by a further two years beyond the three year delay already experienced to date since the closing date of Bid Window 3.5 and 4. IPPs under Bid Windows 3.5, 4 and 4.5 have incurred very significant costs to date that would be lost, and the setback and delays to localisation of manufacture and socio-economic and enterprise development should also not be underestimated. In the meantime, the new coal IPP programme, in which two coal IPPs (Khanyisa and Thabametsi) have been announced as the successful bidders, and well as the gas-to-power procurement programme, is now also stalled pending a full review following the completion and publishing of the IEP and the updated new IRP, expected in early 2018. At this point, therefore, with South Africa at the very crossroads of its political, economic and energy development, the future of the renewable energy, new coal and gas-to-power IPP programmes remains distinctly uncertain.